In 2010, Jen was a nervous freshman stepping onto campus at UCLA, filled with anticipation of what the next four years would bring. She had no idea that over the course of those four years, the Lord would do a work in her that changed the whole trajectory of her life. Jen got involved in Cru through a Bible study in her sorority, where she saw her life and the lives of her sorority sisters transformed by the gospel. 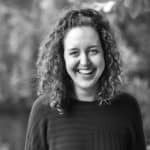 Upon graduating from UCLA in 2014, she realized there was truly nothing she would rather be doing than being part of other college students hearing about Jesus. After serving on staff with Cru in West LA for four years, Jen recently transitioned to Destino, a ministry of Cru that exists to raise up a generation of leaders from the Latino and Hispanic community to change the world for Christ. She now works with students at campuses all over Los Angeles, empowering and equipping them to reach their campuses, families, and communities with the gospel. If you would like more information on Destino, click here, or if you feel called to partner with Jen in her missions work in LA, click here.